Get the latest data and learn about SilcoTek® coating applications for your industry! Watch our anti-fouling webinar. Hall-effect thrusters have been used in space exploration applications such as satellites and medium-sized robotic space vehicles since the 1970s. These engines work by ionizing a propellant and accelerating these ions with an electrostatic potential to produce thrust. 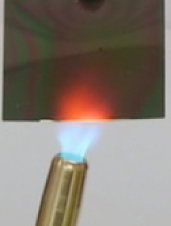 Xenon gas is the most commonly used propellant due to its high atomic weight (easy to ionize) and its chemical inertness; however, storage requires low temperatures and high pressures. 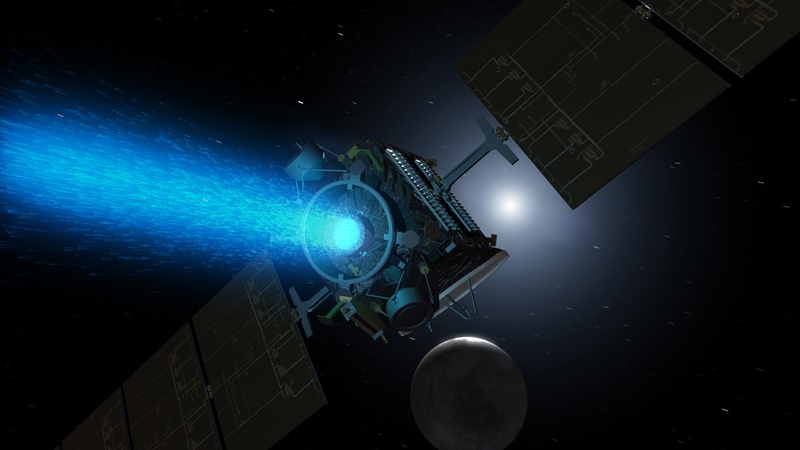 NASA Glenn Research Center has demonstrated that Hall-effect thrusters operating with iodine as the propellant can perform at the same thrust and efficiency compared to state-of-the-art xenon thrusters. Iodine has many logistical benefits over xenon for use in these engines. Iodine stores at 3 times the density of xenon, it can be stored at less than 15 psi, whereas xenon requires 2500 psi, and iodine is much more abundant than xenon, and therefore cheaper. Despite these benefits, there are challenges to consider with material compatibility. Because iodine is a halogen, it can react with and oxidize surfaces, causing damage to process systems and in NASA's case may react with iodine Hall-effect thruster propulsion system materials. Very little is known regarding iodine reactivity with the wide range of spacecraft materials used in a vacuum environment. 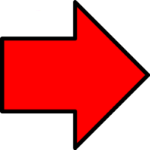 This information would also be useful to the nuclear industry as iodine is regarded as one of the most hazardous fission products from a fuel nuclear reactor. NASA has developed an experiment to study the interaction between iodine and a variety of common spacecraft materials. In their tests, they have included protective coatings like corrosion resistant Silcolloy® and high durability Dursan® coated coupons for evaluation. 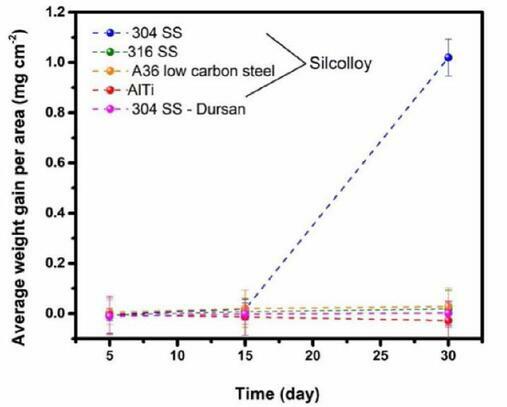 This report investigated iodine exposure to 304 and 316 stainless steel, A36 low carbon steel, 6061 aluminum, and 6Al-4V TiAl alloy. The study also includes Silcolloy coated on every alloy except for the 6061 aluminum, and Dursan only on a 304 stainless steel substrate. 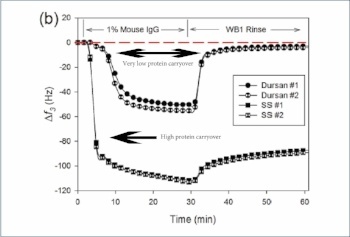 The authors concluded that Silcolloy® and Dursan® were effective in protecting the coupons that were studied. 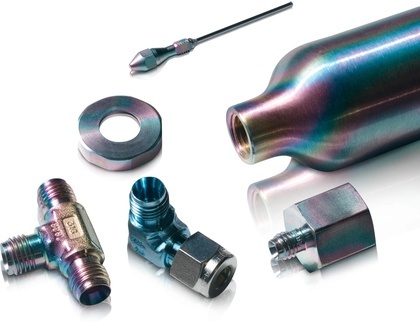 Want to lean more about SilcoTek® non reactive, corrosion resistant coatings? Read our E-Book, or watch our technology videos. 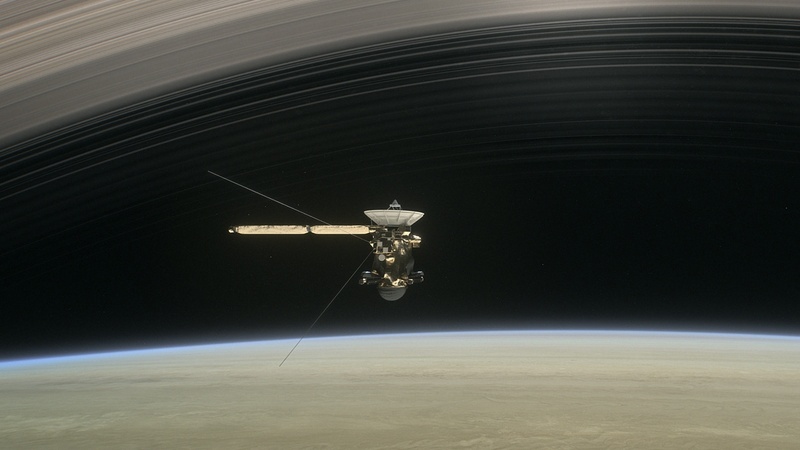 Why are SilcoTek® coatings used in the MS sampling systems like those used on the Cassini probe? Because no other coating has both the inertness and durability to withstand the harsh environment of space and assure samples taken don't react with the instrument flow path. 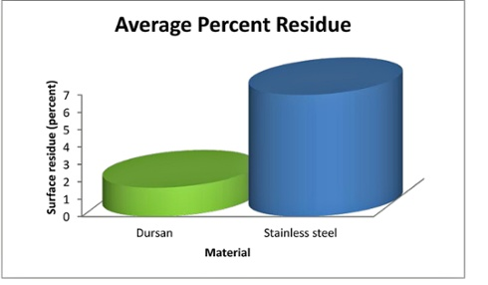 SilcoTek coatings like Dursan® beat other industry deactivation technologies and inert surfaces. The chart below compares the breakdown/loss rate of various deactivations. 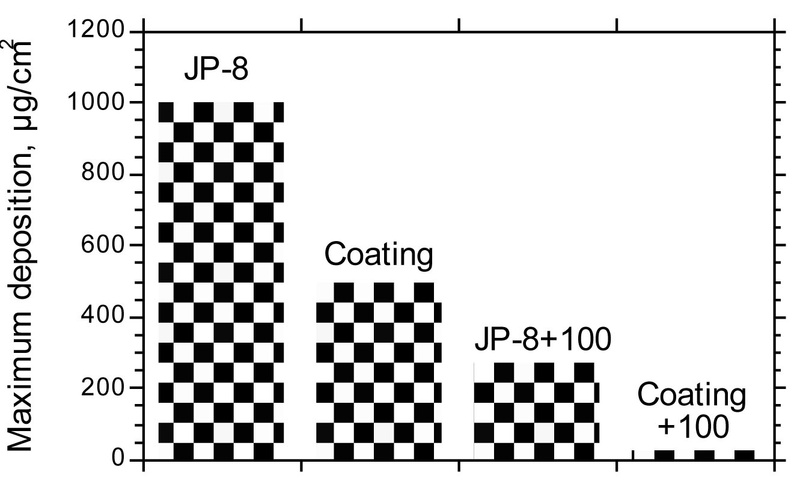 The Dursan coating minimized sample breakdown, improving MS sampling results while offering a high temperature stable, high durability surface. Get our ultimate guide to inert sampling and learn more about how SilcoTek coatings improve sampling performance. SilcoTek coatings act as an inert barrier, preventing catalytic or chemical interaction with the underlying surface. For example nickel containing substrates catalytically form carbon deposits (coke) from petrochemical media. Causing build-up on the surface. 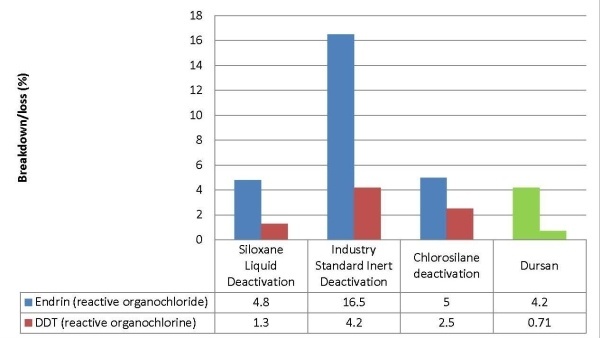 Coatings like SilcoKlean® or Dursan® bond to the surface and change the surface energy and inertness, preventing chemical adhesion and adsorption of the substrate. The coating's low energy surface prevents the attachment of flow path chemicals to the surface. 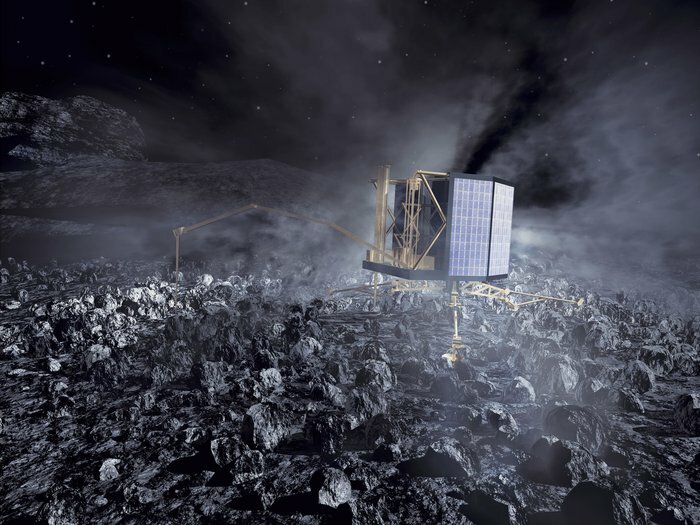 The European Space Agency successfully completed a 6.4 billion kilometer space flight and landed their Rosetta Philae craft on the surface of comet 67P/Churyumov-Gerasimenko for in situ analysis of the comet. 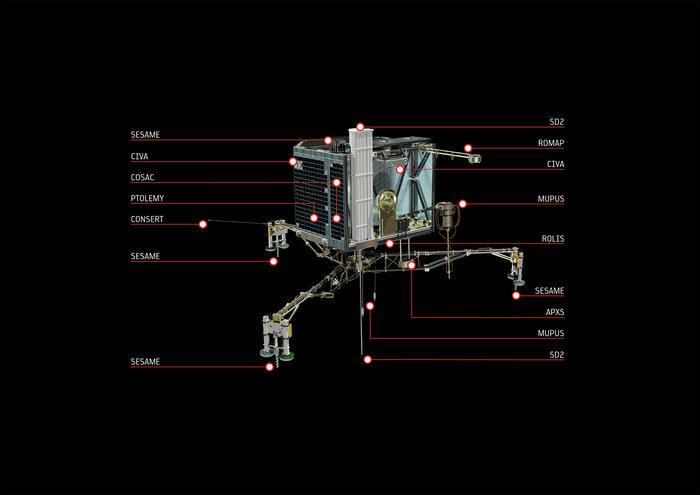 In order to precisely measure the comet's chemical composition, ESA needed an inert surface capable of withstanding the hostile environment of space. They chose SilcoNert® 1000 (Silcosteel®) for the job! ” I would like to mention that all the columns selected for space mission are Silcosteel®-treated metallic capillary columns, and they have all been submitted successfully to space qualification tests such as vibration, radiation, and thermal cycles1, which demonstrated their robustness for space application." "LISA is very grateful to Restek for being this ideal partner without the help of which the study and development of chromatographic columns for space use could not have been possible"
Coat the entire sample pathway, in space or on earth. To assure accurate sample response and a robust sample surface, coat all sample components, even instrument components! *Photos courtesy of ESA; copyright ESA. Learn more from industry leaders about how SilcoTek® coatings solve material problems and improve performance.